I did cut it close this week, as I didn’t have any of this week’s new polls ready to go by Saturday Morning (as I like to do), and instead I put them together just a few hours ago, other than Part 2 of the Beatles polls, which was ready to go since I put Parts 1 and 2 together at the same time 2 weeks ago. But all of the polls for this week were ready by the poll’s starting time anyway. I’m having a hard time deciding on 4 of this week’s polls myself, that is, for which 4 choices I’ll end up voting for. I don’t think that has ever happen before to me with so many polls, as usually it’s just one poll - at the most, that I might have a hard time deciding on. Anyway, I’ll write about the Stones poll first here (what else is new). We enter poll week 1,028, and I always run 2 different Stones poll questions in one week for this poll. So for the first Stones poll, the new question asks this: Which Stones song has lyrics which are most different than the norm for the band? By looking for a song here with "different lyrics", this means lyrics that are unusual and different for the Stones, only. Take a song like "Hand of Fate", for starters. Lyrics wise it's a great outlaw U.S. western like song. Not unusual lyrics had Willie Nelson written the tune, but not Jagger/Richards. Same deal with "2000 Light Years from Home". 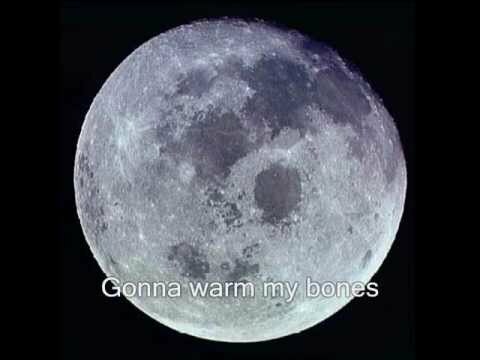 Had David Bowie written this song, the lyrics won't be unusual for him, but they are for the Stones. Now most of these songs that you see for choices this week didn't come from a list that I put together, like is the case almost all of the time. Most of the songs listed came from a popular Gasland thread from back in 2013. The question itself came from Gasser Jimmie Joe. I do hope he sees this and gets to vote, since it is a great question to ask! BTW, you don't have to like any one song to still vote for it. For me, that will be the case with this question, as I haven't voted yet, but when I do in the next 24 hours, it's gonna be one of 2 songs, and I dislike both of them. Also to note on this, the song "Petrol Gang", which is listed, was recorded but never released, then over 30 years later it was released, but shorten with more than half the lyrics removed and the title changed to "Petrol Blues" (a dumb move, as it was much better in its long form), but by voting for that choice means you are voting for either version of the song (really, I could do a Stones VS question on that song asking for the better of the 2). Another BTW, there's a song or 2 listed that I don't agree should be listed (like "Monkey Man", as that number to me is so Jagger), but at least one Gasser felt it's lyrics were unusual, so I'll go with it, since we only got 17 songs to choose from as it is. If you feel a song should be included that isn’t, please do drop me a email in the next 24 hours and let me know. To vote for the Stones song that you feel has the most different lyrics, just click here to vote: Stones Weekly Poll, and when there, then click on Poll 1 to vote on this poll. For the second Stones Poll this week, the question is: Steel Wheels vs Undercover, which album do you like best? The “Wheels of Steel” Polls turns on back around for another round this week featuring the 1989 Stones release titled Steel Wheels. SW heads into its second to last battle this week with a not so great record of just 3 wins to 19 losses and sitting tied with ER in 21st place. With this week's polling, its opponent, Undercover, shows up for the third week in a row to do battle – but also for the last time ever, as it becomes the 4th Stones LP to finish up all of its match-ups once the week is over with. It's in second to last place with only one win, and is guaranteed to stay in second to last place until the series end, other than it could tie with B2B if it wins this week and B2B loses in its final match. Undercover should have one of its better chances in this final week to get its second win, too, as SW has been doing terrible in these match-ups. To see the songs that appear on Steel Wheels, click here: SW, and for the songs on Undercover, click here: UC. 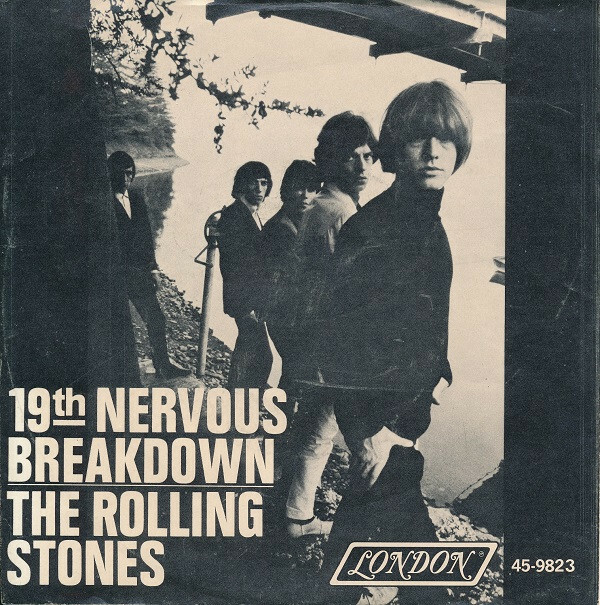 Looking back at our first Stones poll last week, we answered this question: Do you hear Brian Jones briefly playing a saxophone, or a fuzz guitar, on “19th Nervous Breakdown”? Well I had a feeling the outcome would be what it turned out to be - going by past talks on this one, and I was correct, even if I feel that the choice itself is totally incorrect. To see if most fans are hearing a guitar or a sax, just click here: Stones Weekly Poll 1 - week 1,027. 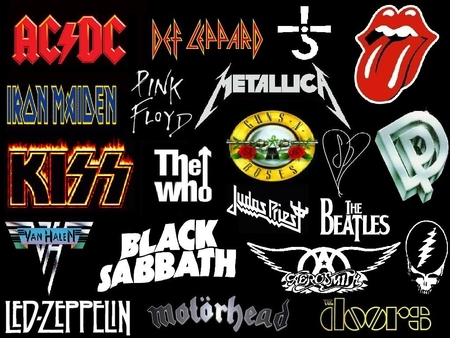 The second Stones poll last week asked this question: Undercover vs It's Only Rock 'n Roll, which album do you like best? I think we all knew before we voted which LP would win in a landslide… but by how much of a landslide was the real question – and which now has an answer. To see that answer, just click on this link: Stones Weekly Poll 2- week 1,027. Or, you can see all of the final results and view the updated, current album standings at the Stones VS Page 1. As is always the case for a multi part series, we vote on the top picks this week from the first 3 weeks of voting on this question. For this final round we have 26 musicians that made the cut to choose from. To see all of the choices for this last round, and then vote, just click here: Classic Rock Poll, and when you get to this page, choose “Poll 1” to vote on this question. 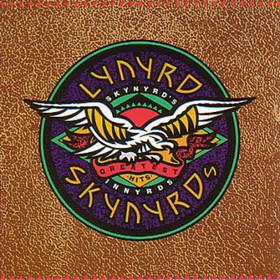 For our second Rock poll this week, we have the Rock VS poll, which asks this question: “Freebird” by Lynyrd Skynyrd vs “Moonlight Mile” by The Stones. Which song about a traveler is better? For the second week in a row we are looking at songs about rolling stones – with this time one of the songs being by the band of the same name and the other coming from a band not named after any drifters. The Stones song, released back in 1971, actually doesn’t have to be about a wander, as it could be about a person who’s on the road working. The one thing we learn in this song is that the person is homesick and missing his loved one, while with the 1973 Lynyrd Skynyrd tune, the dude is clearly a rolling stone who doesn’t ever fall in love with anybody and wants to leave his latest woman behind and hit the road once again. “Freebird” of course is one of maybe 2 songs that always – even to this day, well over 40 years since its release, is still looked at as being one of the greatest rock songs ever made. It is a great song with only one problem to it - it’s totally overplayed on the radio. On the other hand, “Moonlight Mile” by The Stones is almost never heard on the radio and has been voted more than once the band’s most underrated song ever. I agree, yet I haven’t decided which song I’ll go with yet, either, since I love both of them – they are both great songs, period! The 8 last artists picked that have returned for this week’s final round are: Steve Marriott in the Small Faces and Humble Pie (8.6%), Jeff Beck in Yardbirds, The Jeff Beck Group, and Beck, Bogert & Appice (8%), George Harrison - in the Beatles and The Traveling Wilburys (7.9%), Jeff Lynne - in Electric Light Orchestra and The Traveling Wilburys (7.9%), David Crosby - in The Byrds and Crosby, Still, Nash and Young (7.8%), Graham Nash - in The Hollies and Crosby, Stills, Nash and Young (7.8%), Neal Schon - in Santana and Journey (7.7%), and Ronnie James Dio in Black Sabbath, Dio, and Rainbow (7.5%)… . To see the full, final results from Part 3, click here: Classic Rock Poll 1, week 667. 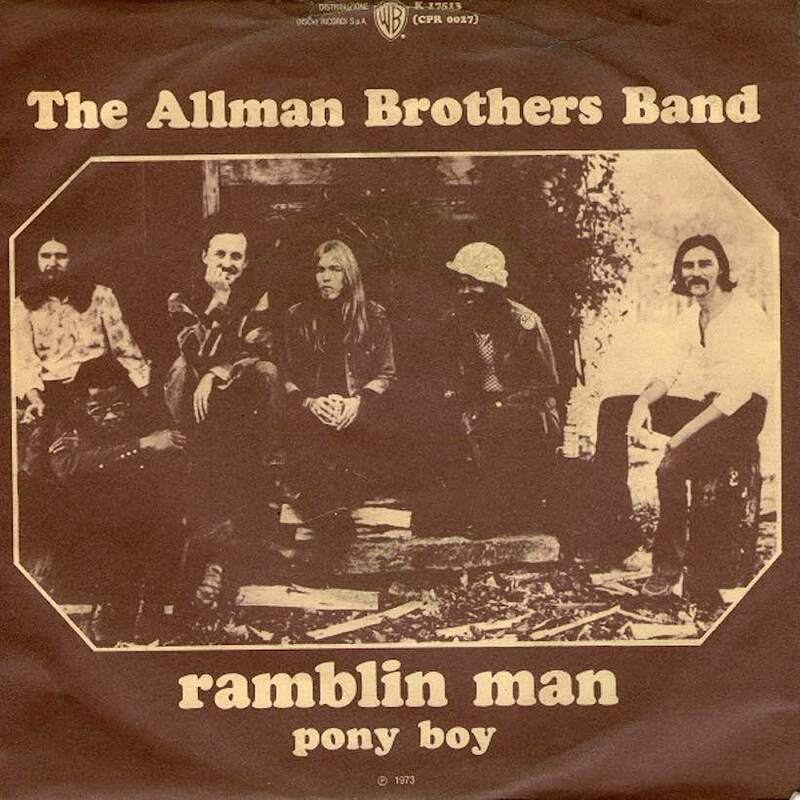 Looking back at last week’s VS Rock poll, the question asked: “Ramblin' Man” by The Allman Brothers Band vs “Traveling Man” by Ricky Nelson. Which song about a rolling stone is better? Well my buddy Rick felt the results were too close in this one since he felt the Allman Bros should have won by a much bigger margin, yet I didn’t, since I can recall just how big a hit Nelson’s song was, and in fact, it’s what I voted for myself, as I like it better and always have!. But did the Allman Brothers Band’s song win out when all the votes were counted? To find out, just click here: Classic Rock Poll 1, week 667. Or to see the results on the list page only, please go here: VS Page 3, List Page, 15. So now we have the next batch of song that we will choose from in round 2 of this question. To vote in Part 2 of this poll, please go here: Beatles Weekly Poll. Well yes, this poll was very close too, but at least the 8 way tie for the last spot broke up in the last day and we ended up with just a total of 8 songs to see move on to the final round… They are: Revolution (Fast version, 8.5%), Day Tripper (7.9%), Ticket To Ride (7.9%), Eight Days a Week (7.8%), Helter Skelter (7.7%), A Hard Day's Night (7.5%), Here Comes the Sun (7.5%), and I Am the Walrus (7.5%). To view the full result from last week’s Beatles poll, just click here: Beatles Weekly Poll – week 418. So that does it for this week’s Poll Post. I thank all of you who vote each week in our polls!... and I hope all of you have a great upcoming week and had as much fun as I had last week myself. I do enjoy my retirement lifestyle, even if I do still work PT, and more than likely will until the day I die. But me and the grandson had an interesting last 3 days and 2 nights, driving to Denver and staying there, and then on the last day heading over to Colorado Springs, and then getting back home late Saturday Night. I hadn’t been to Denver in several years and I always enjoy my return there. The outdoor 16 St Mall is just so much fun and even reminds me a bit of NYC, even if the buildings aren’t anywhere as tall in Denver, NYC has no street mall, and there’s not nowhere as many people in the Mile High City as in Manhattan. But it’s still a big city and it freaked out my 18 year old grandson, who felt there were way too many people walking around in one spot. He’s used to real small town’s in the middle of nowhere with a ton of open space, since that’s how it is where we live. I was half worry that I wouldn’t remember how to drive in a big city myself, as I didn’t drive the last time we were there and it been years since I last did. But I did learn how to drive in and around NYC as a kid, and I found while in Denver, that while I was driving there again, it was totally like it was only yesterday that I last drove in a city, totally like I had never stopped driving in traffic. Yet still, I hated all of the traffic in the Colorado Springs area, too, once we got there. That place never had any traffic before, but that isn’t the case any longer. Then again I hadn’t been back there in 14 years for a visit, either. But I realized that I could never again live in that area again, either, as I might know how to still drive in traffic, but I don’t want to anymore. So I guess I’ll just live out my life here in the middle of nowhere, driving with no traffic at all – ever, and for the most part, usually just walking to the places I go to instead of driving – as driving is a thing that I never cared to do anyway.